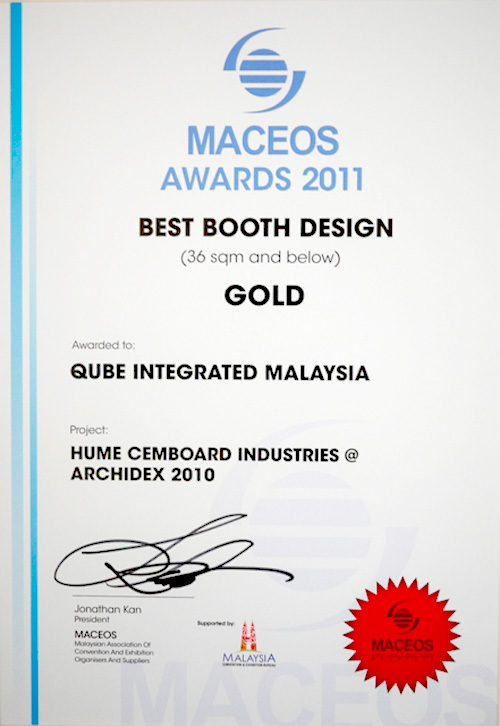 Over the years, we have received multiple awards and industry acknowledgments for event management and exhibition management, contracting work and interior design. 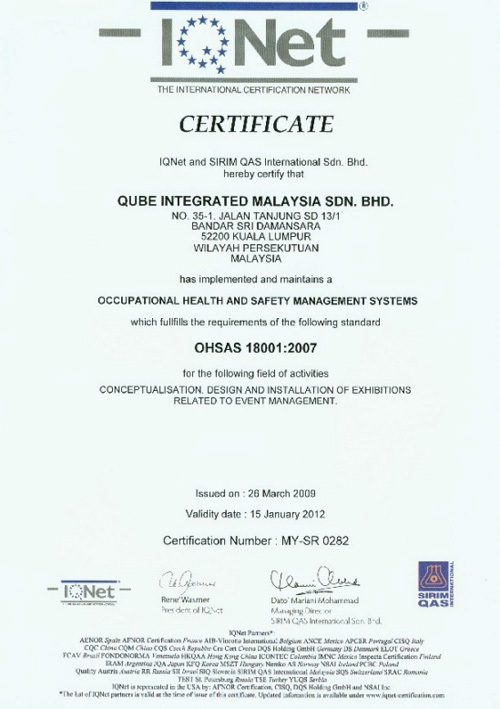 ISO 9001 is the international standard for quality. 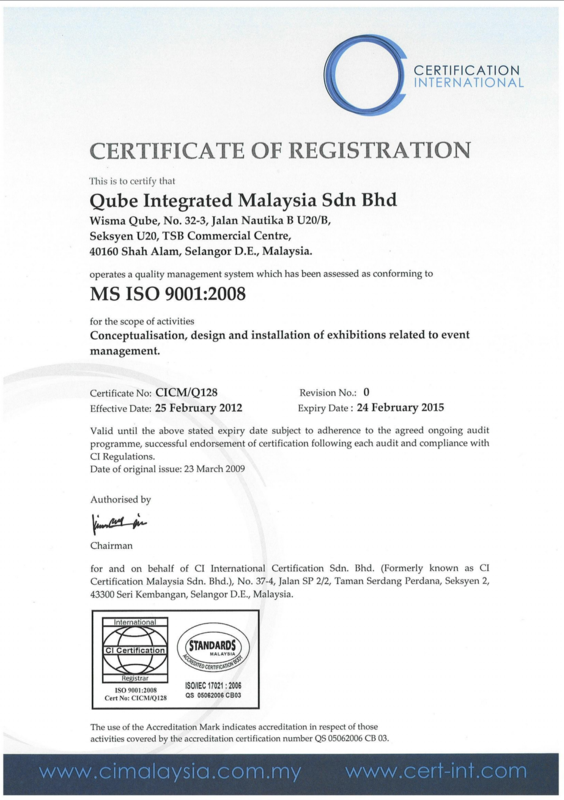 As an event, exhibition and interior design company with operations in Kuala Lumpur, Selangor; ISO 9001 has been awarded to Qube for the concept, design and installation of exhibitions related to event management. This certification ensures that best practices are in place to ensure a safe working environment for workers, reduce risk and liability exposure for the company. 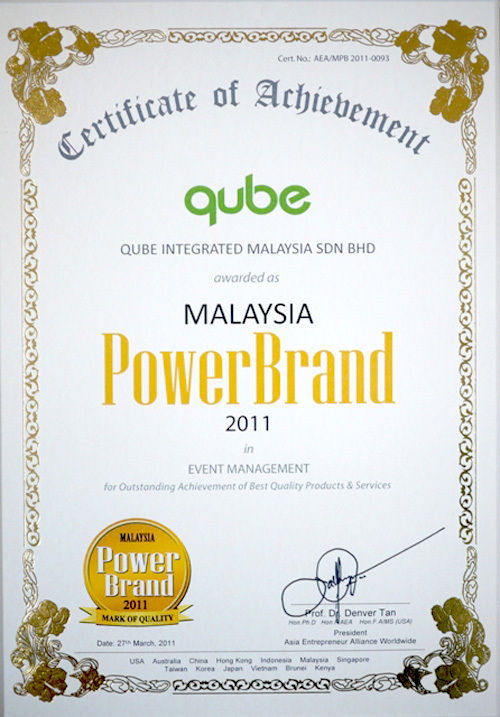 This award was given in recognition of Qube as a successful, growing and dynamic brand, and a leader in its field of event and exhibition management, contracting work and interior design.